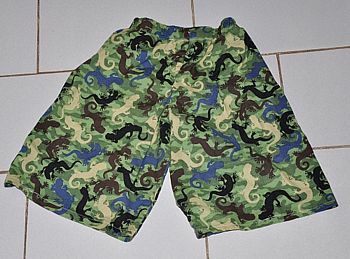 To learn how to sew shorts, you will need a pair of shorts that fit well now to use as a pattern. 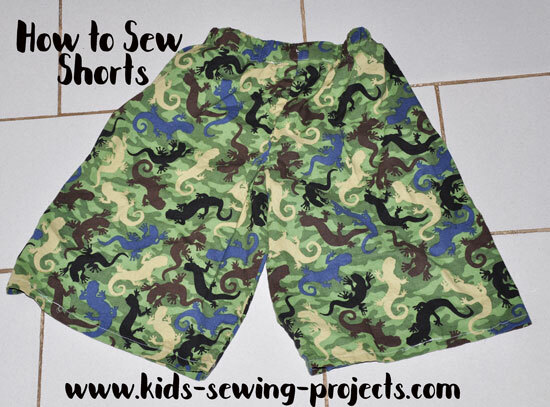 You can also do these same sewing instructions to learn how to sew pants. You will just need enough fabric to fit your pants pattern. Pre wash your fabric. 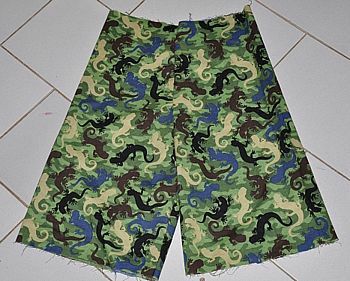 We have 2 yards for a pair of shorts for a pair of pants, depending on what size you are making, you'll probably need to double that to 3-4 yards. Lay your fabric flat. 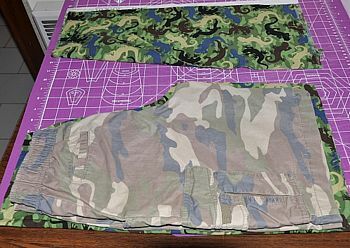 Lay your shorts or pants "pattern" on top of your material placing the side edges on the folded end. Cut 1/2-1 inch beyond the shorts. Do not cut the folded side. ~Be careful not to cut your shorts. You can make a paper pattern if you are nervous about cutting, by tracing your shorts on a large piece of butcher or art paper. Refold your material so you have a folded edge. 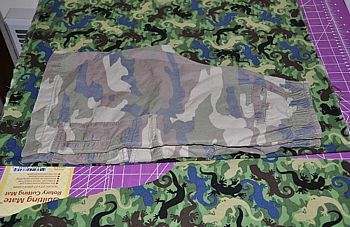 If you don't have a folded edge you will need to sew the long sides together. Flip your shorts over and continue doing the same with the waistband pointing toward the different direction. Fold right sides together on each piece. 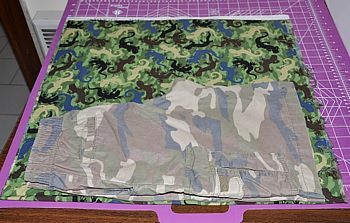 Pin short side edges and sew leg seams, as shown above. Continue with other leg. Tuck one leg into the other in the large hole on the top. One leg will be right side out and the other wrong side out. Make sure right sides are together. 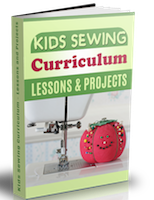 Sew along curve. See picture above. Turn inside out. This is how you sew a hem, along bottom legs fold 1/4 inch up and another 1/4 inch up. 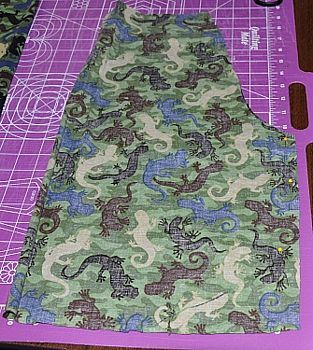 Pin and sew along edge. That is all there is to learning how to sew shorts. 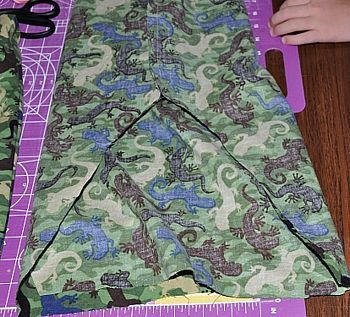 You can use a variety of different fabric to create everyday shorts, lounge pants or pajama shorts. 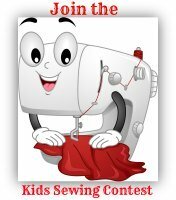 Now that you've learned how to sew shorts, go to kids sewing lessons.